The NASA study, based on data received and analysed from its satellite said that India and China are leading in greening on land. “China and India account for one-third of the greening but contain only nine percent of the planet’s land area covered in vegetation,” said lead author Chi Chen of Boston University. 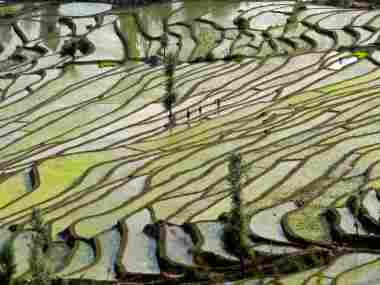 The study published on 11 February, in the journal Nature Sustainability said that recent satellite data (2000–2017) reveal a greening pattern that is strikingly prominent in China and India and overlaps with croplands world-wide. China alone accounts for 25 per cent of the global net increase in leaf area with only 6.6 percent of global vegetated area. The greening in China is from forests (42 percent) and croplands (32 percent), but in India it is mostly from croplands (82 percent) with minor contribution from forests (4.4 percent), the NASA study said. Food production in China and India has increased by over 35 percent since 2000 mostly owing to an increase in harvested area through multiple cropping facilitated by fertiliser use and surface and/or groundwater irrigation.